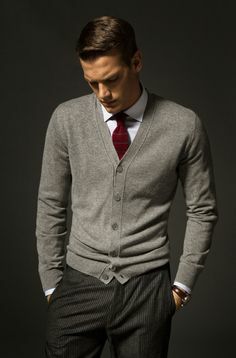 Shirt and tie with cardigan for job interview? Just wondering if this would be acceptable for a job interview in the teck industry. The interviewers will probably have a suit on but I do not want to buy one as I need to put up weight for my sport and it would be too small in six months if I reach my goals. I could buy a bigger suit but there is a chance it would never fit me right if I do so I am not going to buy one or rent one for that matter. It is for a internship in Amsterdam. I have shirts and ties and will wear formal chinos with shoes. Let me know what you think. At the offices the dress code is casual enough with about half wearing t-shirt and jeans. one of the links does not seem to work so you can just click on it if you want. Do you ever feel ugly and unattractive? Are Designer Clothes Worth It? Denim bikinis, Yes or No? Gentlemen, Ladies, Do you think a woman can look elegant in a shorts suit? Do guys like abs like these on girls or no? (mind the tattoo thingy)? I feel like for an interview it's appropriate. You don't wanna shell out tons of money for a job you don't have yet. The outfit is professional while still being approachable. Have fun in Amsterdam, dude! everyone is saying yes, but i would say a strong no. its far too school boy - needy. go for a blazer and a the strong confidence of a man, with lots to offer, and who knows what he wants. Yes those are very good. But do NOT wear shirt and jeans for your interview! I suppose you can do that if it's your only option and there's nowhere for you to rent a suit. No way! Sorry, but then that's just my opinion. 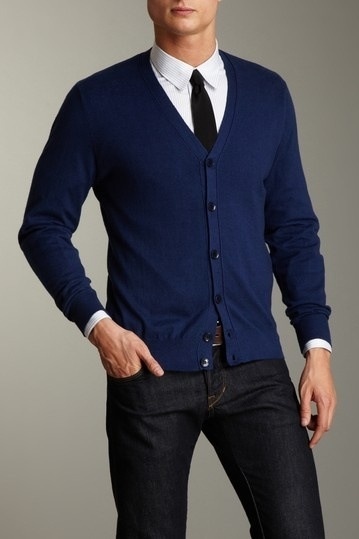 Shirt and tie = cool, Cardigan = too boyish. I think it'll work. It looks nice and clean and formal. Just wear the right dress pants, I don't think jeans are a good idea for the interview. Home > Fashion & Beauty > Shirt and tie with cardigan for job interview?